We are coming up to the colder weather season. It doesn’t matter if you are in a state that has snow or a state that doesn’t. When the weather change happens, the body can struggle to keep healthy! With this amazing company, Young Living sometimes products can go out of stock (demand, plant quality, time of year, etc.). So if you have not stocked up for the cold weather months I would start NOW! While there are a lot more that would be a benefit any time of the year, these are the ones I try to never run out of during the colder months! 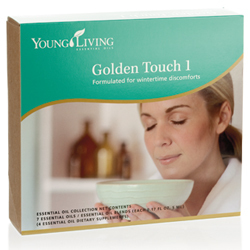 Golden Touch 1 provides immune protection all throughout the year. 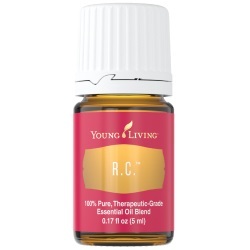 The oil blend formulas in this collection have been specifically created to take advantage of essential oil constituents that support many functions of the body. This collection contains seven blends (5ml bottles): Di-Gize, EndoFlex, JuvaFlex, Melrose, Raven, R.C., Thieves. Combining four powerful varieties of eucalyptus essential oils, plus Laurus nobilis, Rose hip, Peppermint, Copaiba, Blue Cypress and Myrtle essential oils. Breathe Again Roll-On has an invigorating and awakening aroma. Its convenient and portable roll-on applicator makes it easy to apply to the head, neck, chest or under the nose to enjoy its aroma anything, anywhere. R.C. is an invigorating blend of pure essential oils- including Spruce, Cypress and three varieties of eucalyptus that is relaxing when used in massage. Essential Oils used: Eucalyptus Globulus, Eucalyptus Radiata, Eucalyptus Citriodora, Myrtle, Spruce, Peppermint, Pine, Lavender, Marjoram, Cypress. 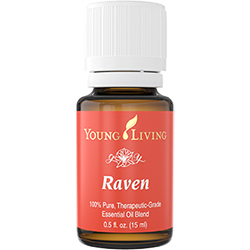 Raven is a combination of deeply soothing therapeutic grade essential oils that will provide comfort when applied topically to the chest and throat or diffused. 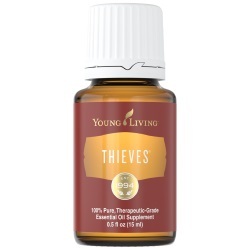 Essential Oils Used: Ravensara, lemon, wintergreen, peppermint, and Eucalyptus radiata. 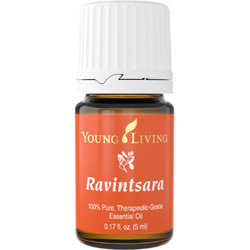 Ravintsara (Cinnamomum camphora) has a spicy, camphorous, warm scent, similar to eucalyptus but softer. The people of Madagascar hold it in high regard. If you want to learn more about Young Living?